I think I might have mentioned sometime in the past that I'm a Craftsy Instructor! WOOHOO!! Y'all know I have long been a fan of Craftsy, having taken classes from such greats as Shirley Paden, Gwen Bortner, Carol Feller, and Faina Goberstein. And, as of this year, I am more than a little proud to be counted amongst those world-class instructors as a Craftsy instructor. And now I am proud to announce that I HAVE A BRAND-SPANKIN’ NEW CRAFTSY CLASS. So, without further delay, here is the official announcement that my second Craftsy crochet class, Crochet Technique Toolkit, is going live, July 6th... in just a few days. AAAAAAAAAAAAA!!!!! I'm more excited than a Pointer Sister! So, what is The Crochet Technique Toolkit all about? The Crochet Technique Toolkit teaches you some of the most important (and my favorite) techniques and applications to take your crochet from “ho-hum” to “HOLY COW!” These are the techniques and tools we use every day here at Shibaguyz Designz to create our patterns and designs. Crochet Technique Toolkit is a look into my personal toolkit… I'm sharing the skillz with you! Do you know what things to look for in a pattern that will give you the best chances of success? You will! I eliminate the mystery of deciphering the differences between good patterns and bad ones. I provide numerous techniques you can begin using in your crochet immediately. Techniques like: “Knotless Starting”, 6 unique ways of decreasing, and a cool tip for how to keep your edges from looking like they have been gnawed on by a Screaming Hairy Armadillo (which incidentally is a real animal… GAH!). We go over simple calculations to help you buy the right amount of yarn the first time, 4 types of Foundation Stitches (including the Foundation Slip Stitch!) and how to make them flawlessly, and my own End Cap Finishing Stitch for a picture perfect finish, and MUCH, MUCH MORE! You will learn by watching me complete each technique, then try it yourself. You get to apply what you are learning right away without wondering how you are going to use these stitches in real life and I'll be there with you every step of the way! When you’ve completed the entire course, you'll be shocked by how packed your Crochet Toolkit will be. But don’t worry about forgetting any of the tips and techniques because the BEST part of these Craftsy classes is you can watch them whenever, and wherever you like and you can watch them as often as you like since your purchase never expires! Have a few minutes to watch a segment? Need to go back and see one of our tips & tricks again? Want to watch that technique one more time to get it juuuuust right? 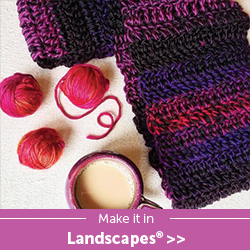 You can do ALL that with a Craftsy class! You own it forever. ADDED BONUS: you have exclusive access to me personally in our virtual Craftsy classroom. If you have questions or want to show off your FAB stitches, you will always know where to find me. I'll be right there to help out and celebrate with you! We also have a lot of fun in my classes... I mean a LOT of fun. To celebrate the release of this new class the FAB folks at Craftsy are giving away a free copy of The Crochet Technique Toolbox to one lucky person. To enter, click on the special link below and be whisked away to register for a chance to win my new The Crochet Technique Toolkit class on Craftsy for free! Yes I said FREE! You need to register to win before the class launches July 6th! Enter Now! Yes, now… stop reading and enter… do it now. The Crochet Technique Toolkit is now live! Thank you for entering the contest. Even if you did not win you can still register for the class and take your crochet technique knowledge from MEH, to WOOHOO!